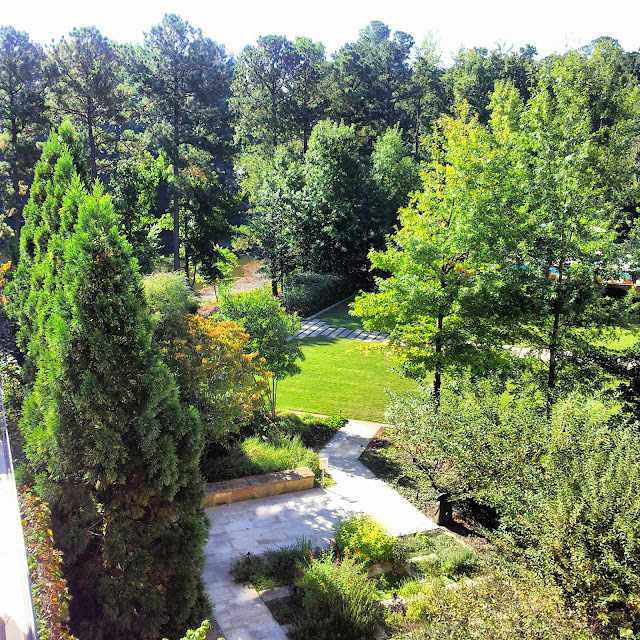 Hines-Sight Blog: What is Parked in the Umstead Hotel and Spa Lobby? 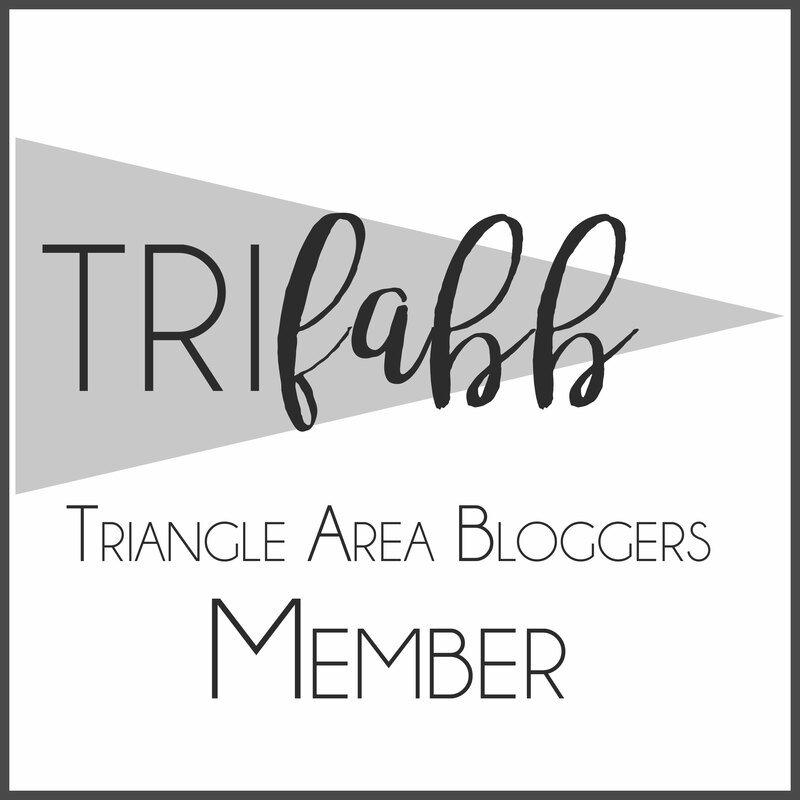 What is Parked in the Umstead Hotel and Spa Lobby? 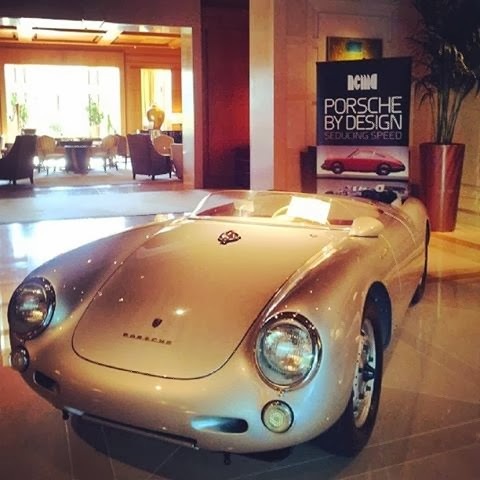 It's not everyday that you see a Porsche, valued close to four million dollars, in a luxury hotel lobby. 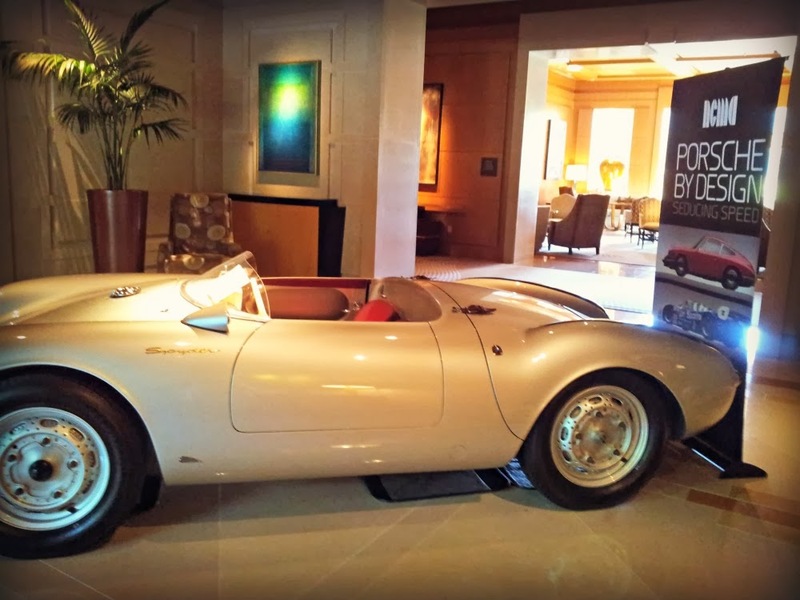 this 1955 Porsche 550 Spyder was checked in at the hotel to help celebrate the fall opening of "Porsche By Design: Seducing Speed" exhibition at the North Carolina Museum of Art in Raleigh. I am not really a car buff, but I could certainly appreciate this car's beauty. It's difficult to see the detail in the photo, but the back section of the vehicle opens via a perfectly positioned leather buckle. 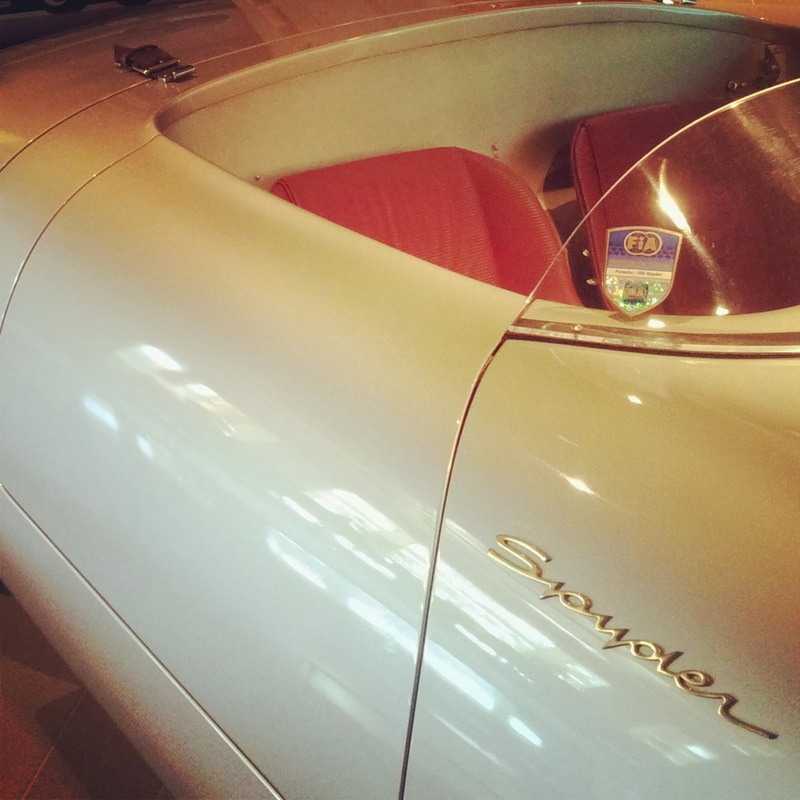 There were few Porsche Spyders made in 1955. It was marketed as a race car. 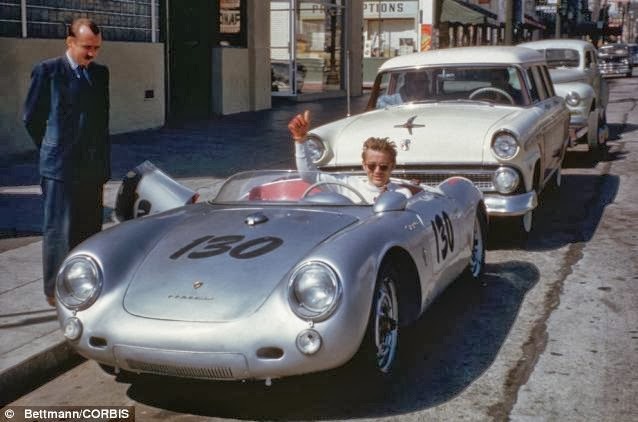 Legendary actor, James Dean, owned a Porsche Spyder for just 9 days before he was killed in a car crash in the same model Porsche. He was only 24-years-old. 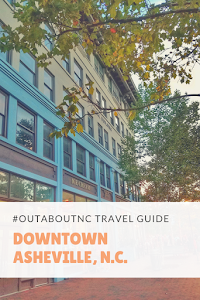 The Umstead Hotel and Spa is always a lovely place to be no matter if there is a Porsche in the lobby or not.